One of the most popular theme gardens is a butterfly garden. Who can resist those delicate, magical creatures that float through the air, and can bring a smile to the face of the most grizzled old hermit? Let’s face it, everyone loves the butterflies. It isn’t hard to create a garden that is more friendly to butterflies visiting, and spending some time with you. 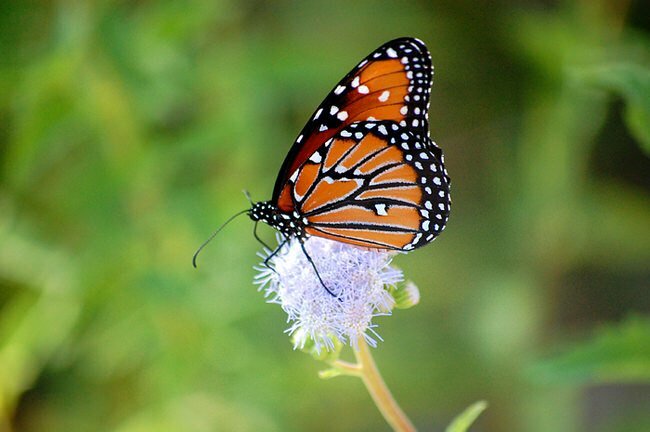 Fall is a great time to put in butterfly plants and habitats, so that they are ready to bloom in the spring and summer, when butterfly sightings are at their peak. 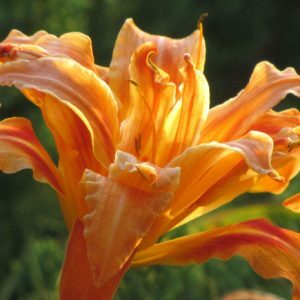 But you can learn how to make a butterfly garden any time of year, and plant one in all seasons except the cold of winter. Here is how to attract butterflies to your garden! Butterfly Bush – One of our favorites, easy to grow (too easy in some places, it can be invasive!) We have a whole post on how to grow butterfly bush! 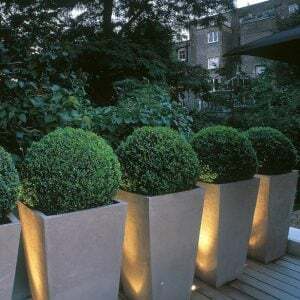 Photo below from ‘HGTV Gardens‘. 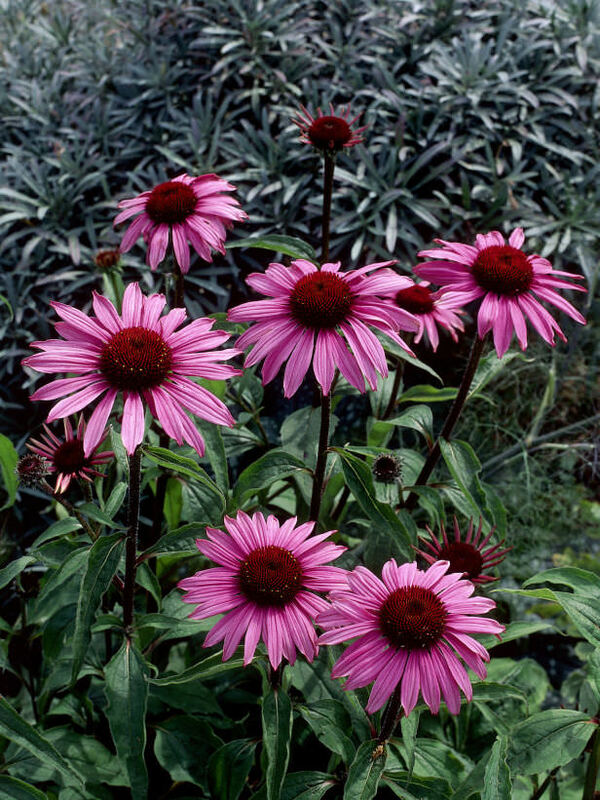 Coneflower – Technically a wildflower that has become hot in gardens today, there are more types of coneflower than I can count now! Drought resistant and loves sun, these beauties can bloom mid summer to frost. They also make good cut flowers as well. A butterfly plant you can count on. 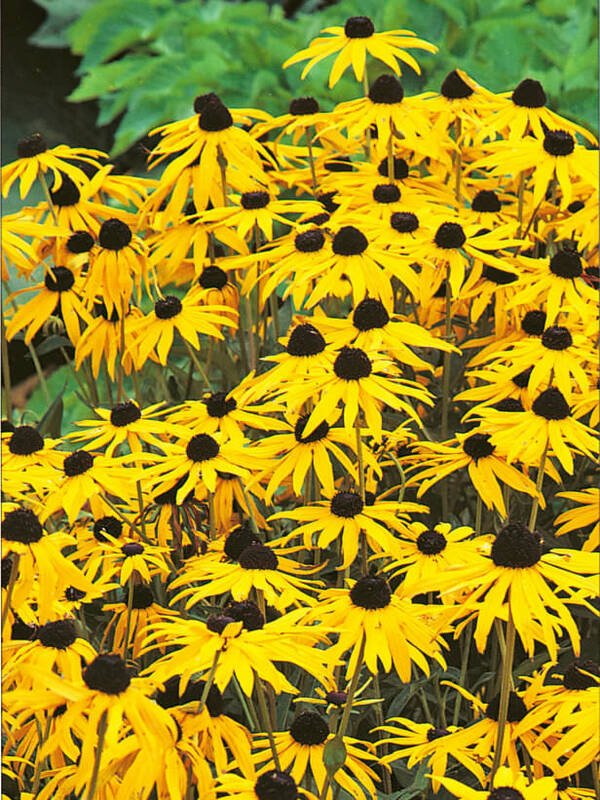 Black Eyed Susan – Grown in similar conditions to coneflower, another prairie plant that has a lot of hybrids these days, small to large, yellow to orange! Perfect for a late summer garden to attract butterflies! 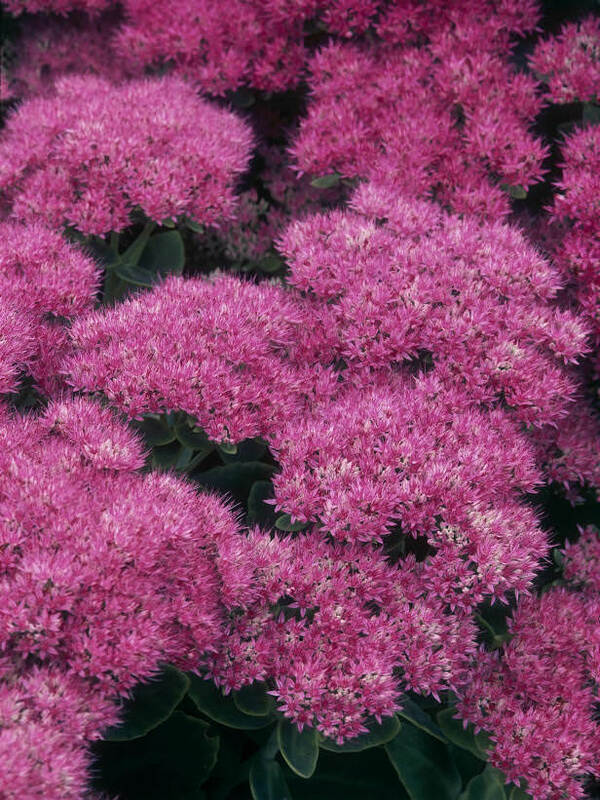 Sedums – Popular indoors and out, garden sedums flower in clusters in the late summer and fall, and butterflies love the broad blooms. 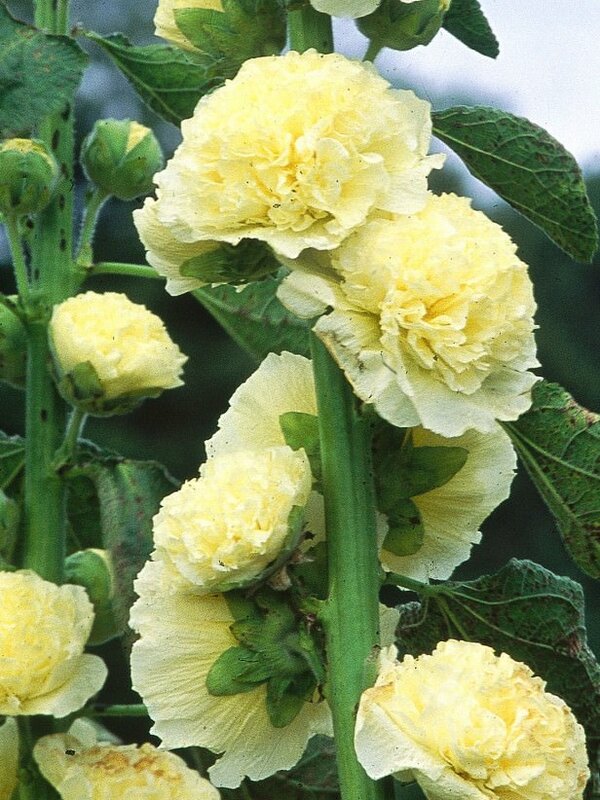 Hollyhocks – Hollyhocks are tall, old fashioned, and perfectly charming… And the double ones are especially preferred by butterflies. 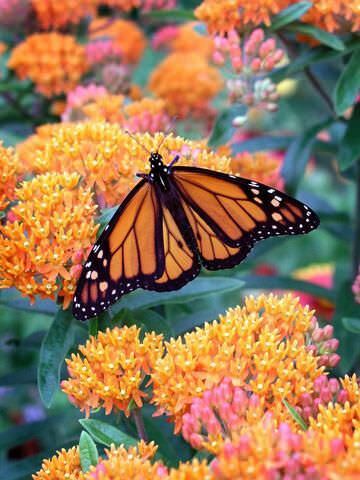 Butterfly Weed – Also called milkweed, this is the flowering plant butterflies adore… However, if you plant it, be aware larva may make a meal of some of your plants early in the season. Photo by ‘Midwest Living‘. 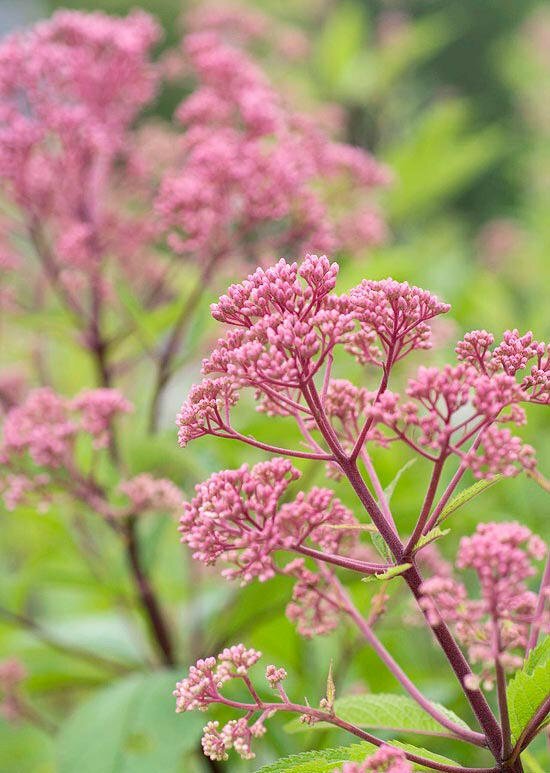 Joe Pye Weed – Tall, towering plants that love moist soil. There are dwarf varieties, so ask at your local nursery what they recommend. Photo by ‘BHG‘. 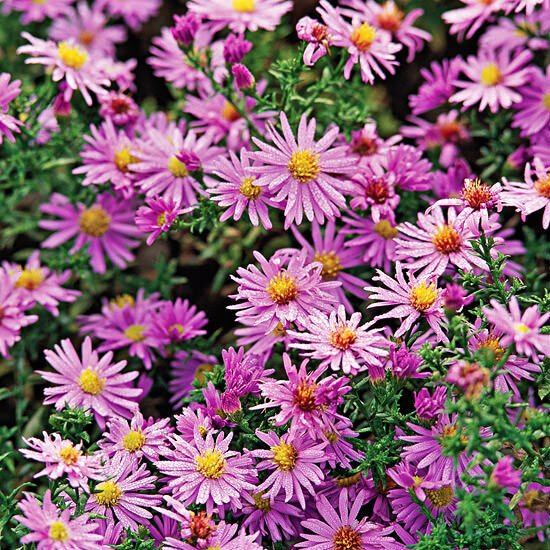 Aster – Another butterfly plant favorite, this fall blooming perennial comes in sizes from creepers, to 4 feet tall. Don’t want to wait for the flowers that attract butterflies to bloom? Make a DIY butterfly feeder with these instruction from ‘Gnowfglins‘. Butterflies like protection from the wind, and a warm place to sun themselves. You can do this as simply as planting a tall tree that faces south, laying large flat rocks in protected areas of the garden, or going as far as building a butterfly house. ‘Woodlogger‘ has a step by step tutorial on how to make a butterfly house. Butterflies need water too, but will usually drink from mud puddles or off leaves. They won’t usually risk drinking from a bird bath or deep water source. Provide a shallow saucer filled with wet sand… May not sound like a good cool drink to you, but works great for them! Butterflies not only need flowers for nectar, if you want them to lay eggs and have a family right there in your yard, you need to provide a food the larva like to eat. Milkweed is a fav of Monarchs, parsley is a fav of the swallowtail… Research butterflies for your area. That’s all there is to bringing butterflies to your garden… One last tip – Have your camera ready! Now that you know all about how to attract butterflies, check out our posts on How to Attract Hummingbirds and Hanging Baskets: Secrets the Pros Use! Thank you for the article. In my research I’ve learned that exotics are invading native plant areas. They disrupt food chains affecting many species of wildlife. I want to suggest that people stick to native plants – or nonspreading/noninvasive plants. Some butterfly weeds can be harmful to butterflies -toxic if they are a non-native species. 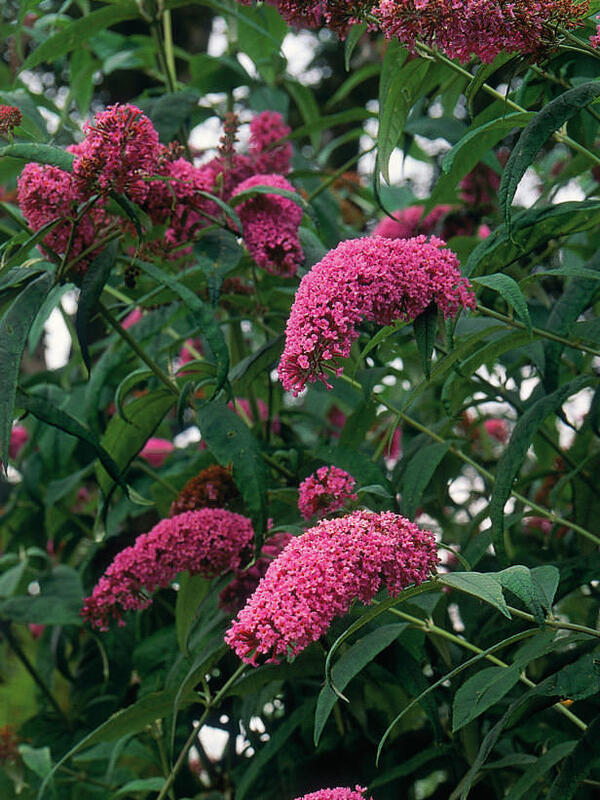 I have read that “butterfly bush” – such a pretty plant and with the name compels a lot of people to plant it is harmful in the US.It is invasive and crowding out vital native plants used by native willdlife. The seeds are carried by birds and takeover wild sites. Please don’t plant it unless it’s native to your area…Asia? I wish they’d change the name. As as someone giving information on butterflies- please consider conservation and responsible gardening practices. Thank you for sharing your opinion Chandra! Thank you for being the ‘Negative Nancy’ here regarding passing on information about butterfly-attracting plants. My own eyebrow lifted when I saw Loosestrife on the list from Kids Growing Strong. Purple Loosestrife is a horribly invasive weed taking over parts of the Northwest. It may even be illegal to sell there. Or maybe it just ought to be. Sometimes our best intentions are encouraged by growers willing to take advantage of us and sell us weedy invasives rather than the true natives. And sometimes the new, flashy versions of native flowers don’t have the nectar-producing capacity of the plainer natives. I wonder if there is a updated, truer list of butterfly garden plants that takes into account the newer versions of old favorites and has tested them for nectar and pollen production for bees, too. That’s really neat. What’s in the jar that feeds them? is ir sugar water ? There is a recipe at the link listed with the jar feeder, she used 9 parts water to 1 part sugar!